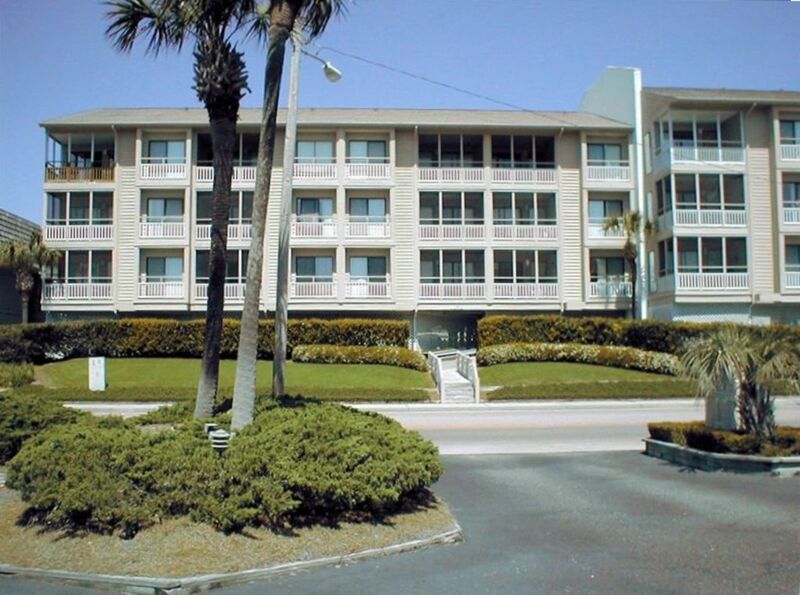 This three-bedroom condo is located across the street from the ocean on popular Shore Drive. Pelican's Watch features convenient elevator access, under-building parking, barbecue grills, and beautiful ocean-front pool with seated decking area. Screened front porch contains table and chairs for dining and relaxing! The master bedroom has a queen bed, tv, ceiling fan, and bath with shower. The middle bedroom has two twin beds, ceiling fan and tv. The third bedroom has two twin beds, ceiling fan, and half bath. Updated kitchen and baths. New appliance, including new washer in 2017 and new dryer 2018. NOVEMBER/DECEMBER AND WINTER RENTAL RATES AVAILABLE UPON REQUEST. New clothes dryer in 2018. Beach towels are NOT provided. We have a personal supply of beach towels that you are welcome to use, and then please wash and return to the shelf before you leave. A selection of books is available. If you must take one with you to finish, please leave one in its place! Thanks. A pool for Pelicans Watch guests only is located ocean-side, with showers and a walkway to the beach from the deck. Cable TV in living room, master bedroom and middle bedroom. Fully equipped kitchen, full-sized washer and dryer, pool, elevator. Our Association prohibits pets. Motorcycles and trailers are NOT allowed. Renter must be 25 years of age or older. Smoking permitted outside on screened porch and balcony area only. Accurate description, photos, and very well maintained and clean. Owners were very kind, helpful, and had easy communication by phone and email. Owner mailed keys and returned security deposit promptly. Nicely decorated. Beds were comfortable. Location was great, only a short walk across the street to the beach. We all enjoyed setting up our chairs near Ocean Annies to listen to the band playing on the deck. We had a couple teenagers who enjoyed the nightly entertainment on the Apache Pier also. Beach chairs, sand and surf toys were nice to use found in the condos washer dryer area. We used the nice shady grill and picnic area by the parking lot. Enjoyed sitting on the balcony in the mornings drinking coffee and reading. Broadway at the beach, Barefoot Landing and Ocean Drive (my husband and I took our first Shag lessons free on Tues night at Fat Harold's) were a short drive away. Plan to rent this condo again next year. Thanks for your review. We know vacations are very important, and we're so happy you had a good time! We look forward to having you stay with us again.